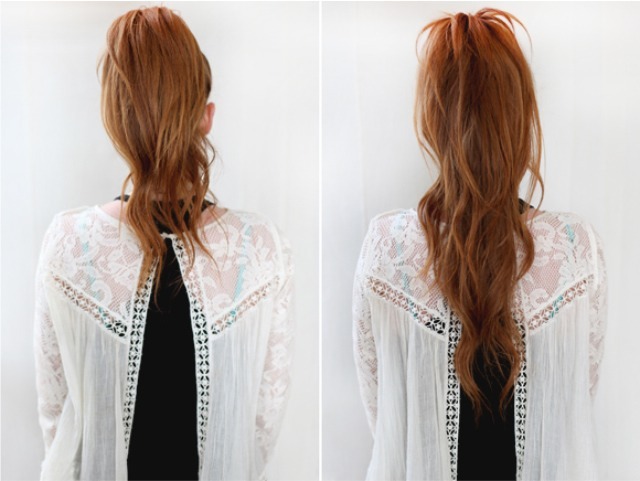 Create two ponytails one directly above the other. 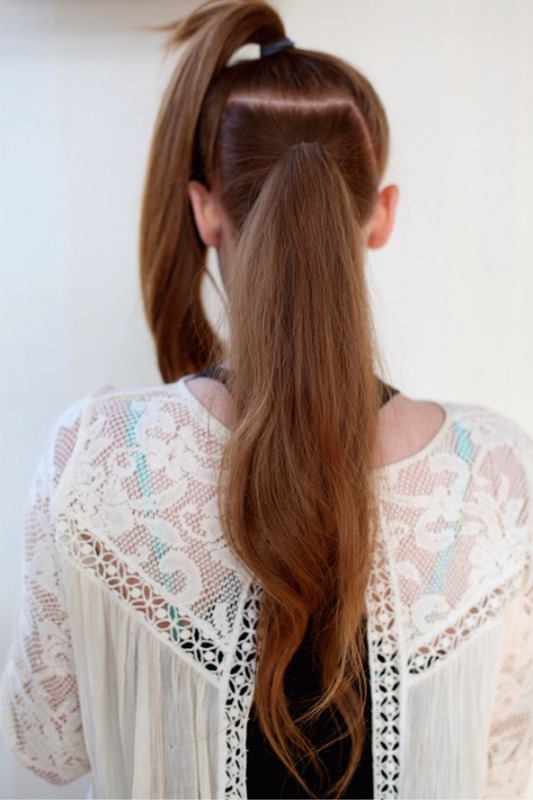 Add volume by gently teasing and the blend with the two ponytails together with your hands or a brush. The finished result you then have a longer bouncier pony!